Gather your loved ones, stir up a creamy concoction, and savor a cup of spiked eggnog punch brimming with old-fashioned goodness. 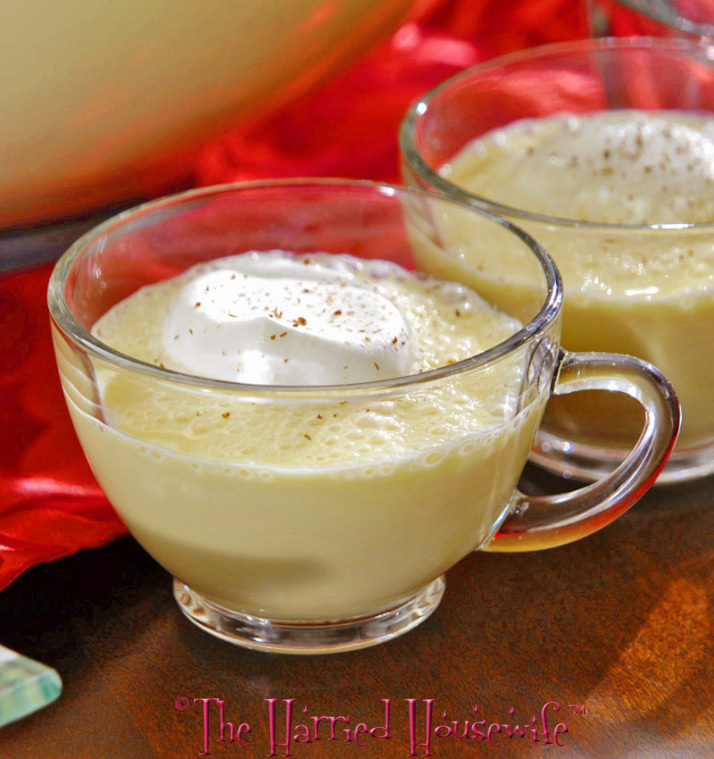 The tradition of sharing eggnog with those near and dear originated in England centuries ago. Served in small cups known as noggins, the rich beverage was spiked with a variety of alcoholic beverages. The custom continues today, and is made easier and safer, by simply picking up cartons of pasteurized eggnog from the supermarket instead of making it from scratch. Just in the nick of time for holiday celebrations, this quick to prepare recipe for Spiked Eggnog Punch is a luscious crowd-pleaser. And using this Anchor Hocking Presence 18 piece Punch Bowl Set to serve guests adds a vintage touch to the celebration. The cups may be attached to the bowl for style and practicality—and will encourage them to have a cup of cheer. So go ahead and indulge with family and friends in a festive potion that’s mingled with seasonal flavors. After all, this is a luscious way to celebrate the time-honored taste of the holidays. 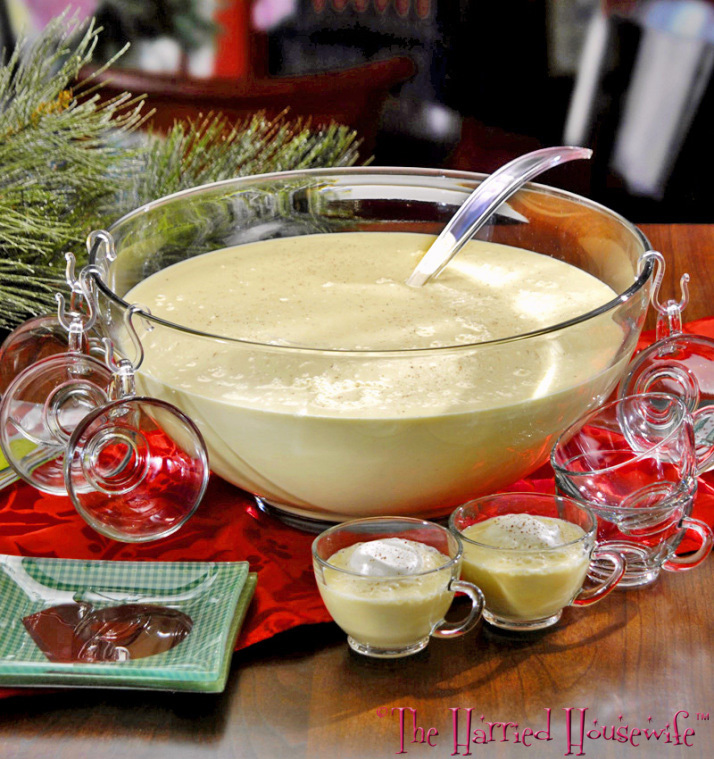 In a large punch bowl, combine eggnog, brandy, and freshly grated nutmeg. 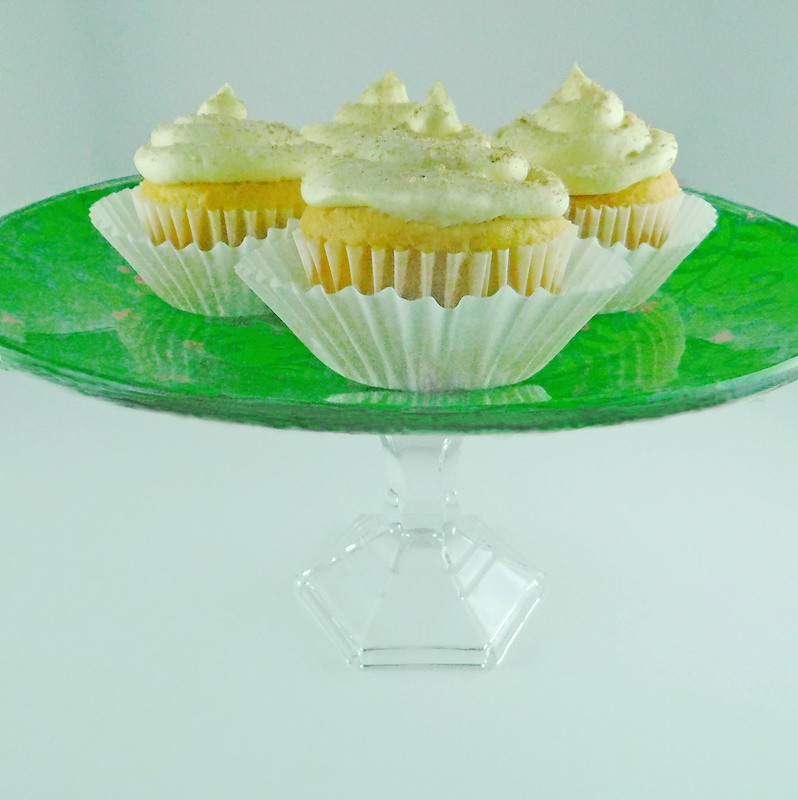 Ladle into cups; top each serving with a dollop of whipped cream and a sprinkling of fresh-grated nutmeg. Makes 24 servings. I’m going to have some on Christmas eve…… and Christmas day…. I’m definitely gonna drink some of this soon! There’s nothing like brandy in your eggnog. Thanks! Agreed! There’s nothing like brandy in your eggnog. Wishing you and your family a happy holiday season. Cheers! Great recipe! I was wondering what to spike the eggnog with =) I think I will have some of this on New year’s eve! Thanks Christina! 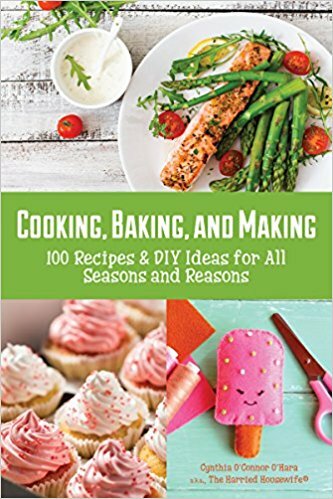 I really think you will like this recipe. I know I will! Thank you for the wishes and Happy New Year’s to you!! !